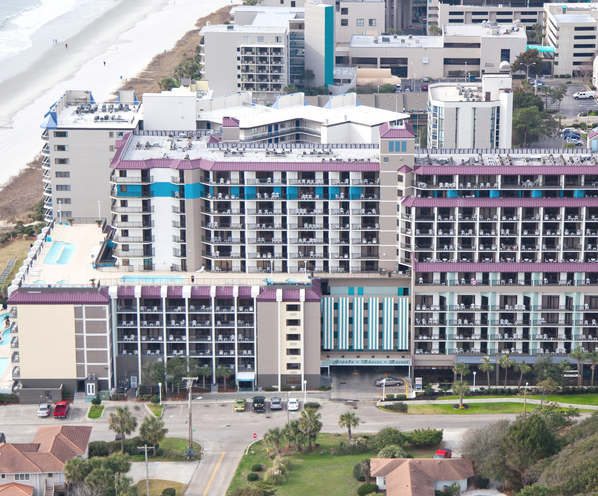 Avista Resort is located just three blocks from Main Street in North Myrtle Beach, within walking distance to some of the area’s best shopping, dining, and nightlife! Enjoy convenient family dining at our onsite restaurant, Just off Main, or a delicious night cap or game of pool at our onsite bar, The Tree Top Lounge. Water amenities include both indoor and outdoor pools, hot tubs, and lazy rivers. Children’s activities are offered from mid-June through Labor Day. 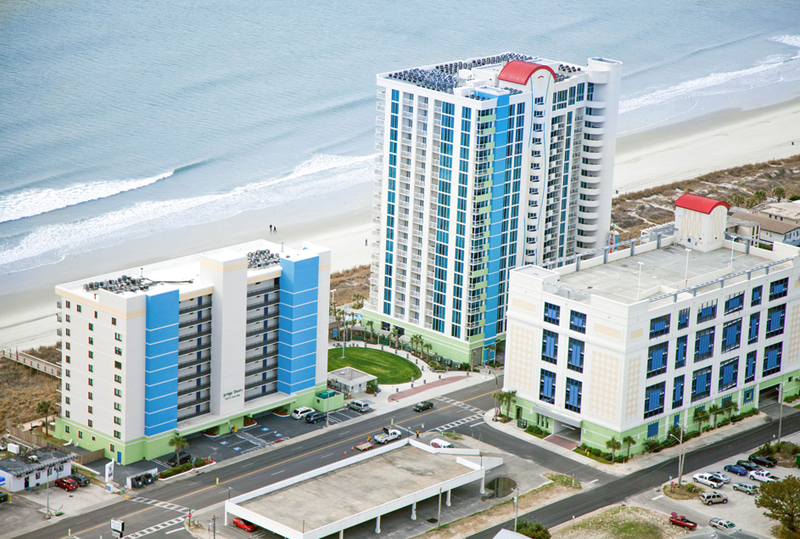 Prince Resort is adjacent to the Cherry Grove Pier, and features 2 towers of condos ranging in size from one to three bedrooms. Enjoy family dining at our onsite restaurant, 3500 Ocean Grill, and full access to 2 outdoor pools, 4 hot tubs, a waterfall kiddie pool, and lazy river. Prince Resort offers a variety of children’s activities throughout the summer months, and a well-equipped workout facility. 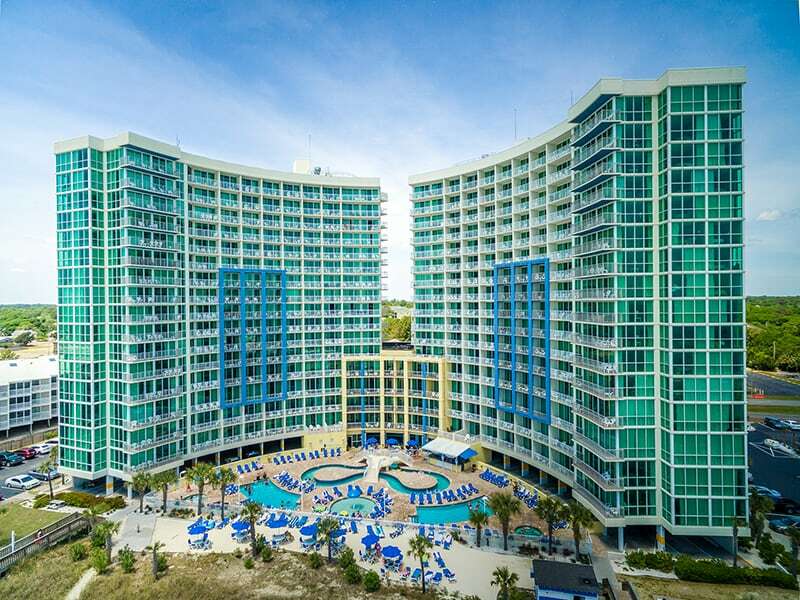 Dive into some excitement at Grande Shores in Myrtle Beach, with over 11 water amenities to choose from including 2 outdoor pools, 4 outdoor hot tubs, 2 outdoor lazy rivers, 1 indoor pool, 1 large indoor hot tub, and an indoor kiddie pool! Don’t forget to stop by and enjoy a great meal with your loved ones at our onsite Restaurant, the Shoreline Café. The summer months are full of extras such as the poolside bar and grill and as well as an abundance of exciting children’s activities to participate in. 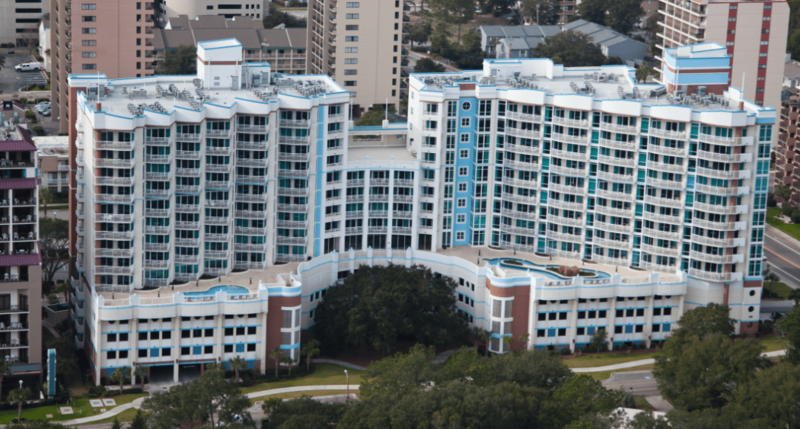 Towers at North Myrtle Beach is conveniently located in the heart of Cherry Grove, allowing easy access to a variety of shopping and dining in the area. Join the kids for some “Jungle” fun in our onsite water park that features our spinning water slide, kiddie pool, pool, lazy river, and hot tub. Take a stroll with your loved ones through Cherry Grove’s ocean front park that is located directly beside the resort and enjoy the fresh ocean breeze while grilling an amazing dinner on complimentary charcoal grills. Horizon at 77th is a unique family friendly resort that offers spacious 1 and 2 bedroom condos. 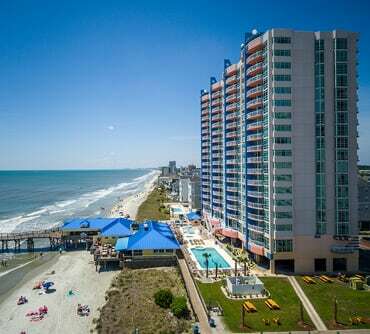 You will find this resort strategically placed in a beautiful upscale residential area just minutes away from exciting adventures such as Myrtle Waves, The Simpsons 4D, and the Myrtle Beach SkyWheel! The Horizon at 77th has a fabulous indoor pool, and an elevated ocean view pool deck which features an outdoor pool and lazy river that are even heated during the cooler months. Seaside Resort is located only 2.5 miles north of all the shopping and dining adventures Barefoot Landing has to offer. 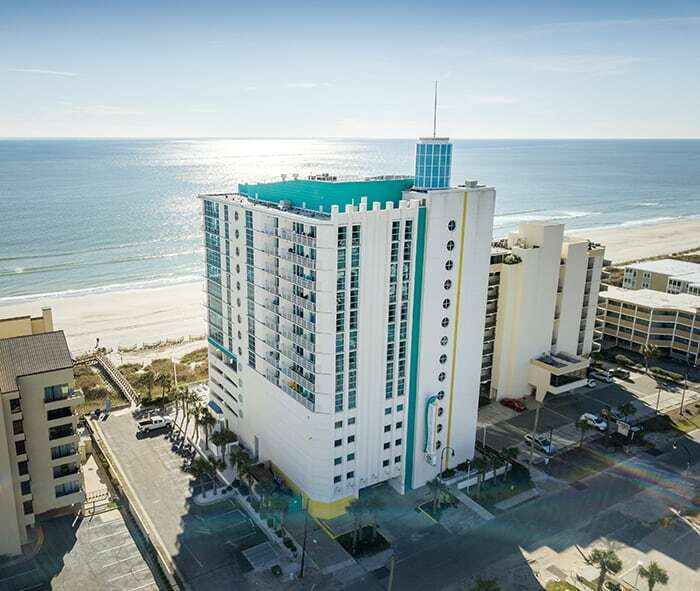 Seaside offers great rates on oceanfront and ocean view condos, with the option to include a scrumptious continental breakfast with your stay. Nothing says family fun like an exciting game of "Marco Polo" in the indoor pool. How about letting the kids splash into some summer fun in the outdoor pool, while you are soaking up the sun and enjoying the breeze on our ocean front pool deck.